Billy Goat’s F601S Force blower features the next level of performance and productivity in push blowers. 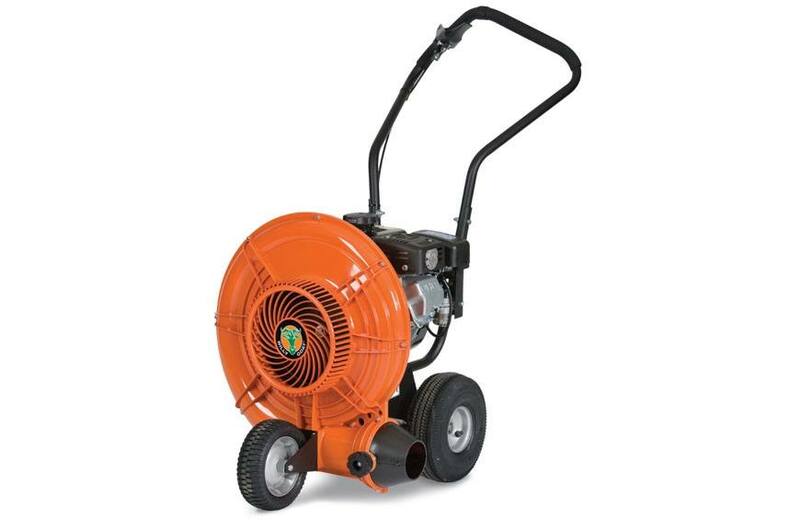 Forget the fatigue factor associated with heavy metal machines, this model is a remarkable 30% lighter than comparable steel units and weighs only 76 lbs., making it a breeze to roll around the yard. Rounded composite housings coupled with 16-blade advanced fan technology completely eliminate traditional bends in metal housings. This eliminates air voids, reduces noise, lowers weight, and pushes the design envelope for blowing efficiency. There is also no rusting or denting and there is less stress on the engine shaft for longer life. The result is a dramatic jump in productivity, ergonomics and reliability. When combined with industry leading wheels, ergonomic handle design and the patented Aim-n-Shoot™ airflow technology, the F601S is the ultimate property cleanup tool.